Users on Twitter are now sending 200 million Tweets per day, compared to January of 2009 when users sent 2 million Tweets a day, and one year ago when they posted 65 million a day. 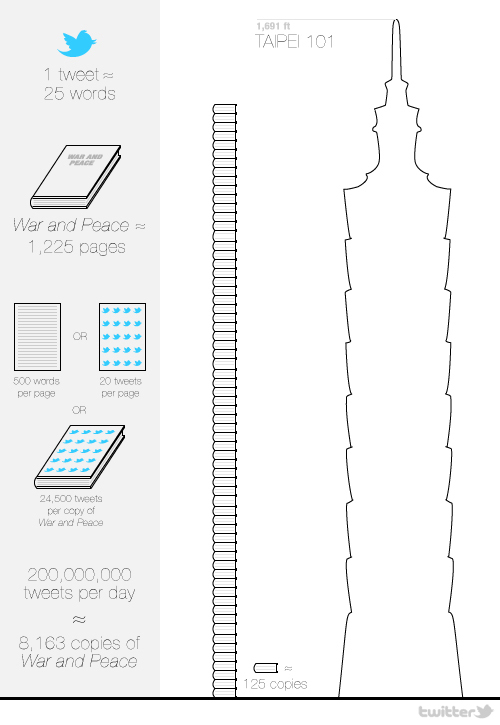 Every day the world writes the equivalent of a 10 million-page book in Tweets or 8,163 copies of Leo Tolstoy’s War and Peace. A billion Tweets are sent every five days.